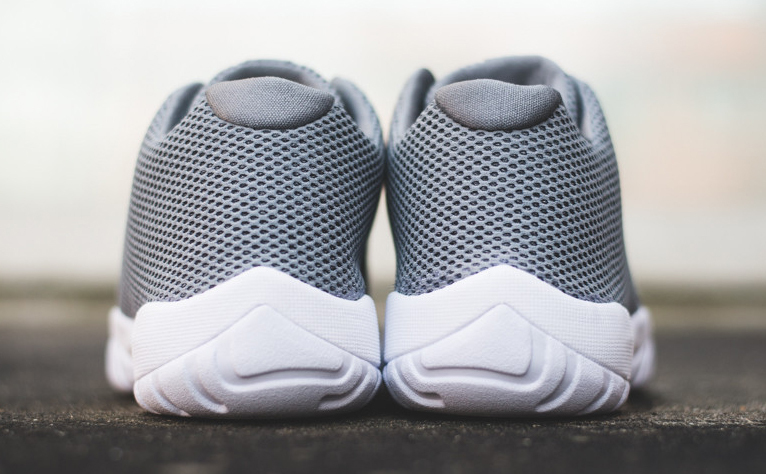 Find out where to purchase. 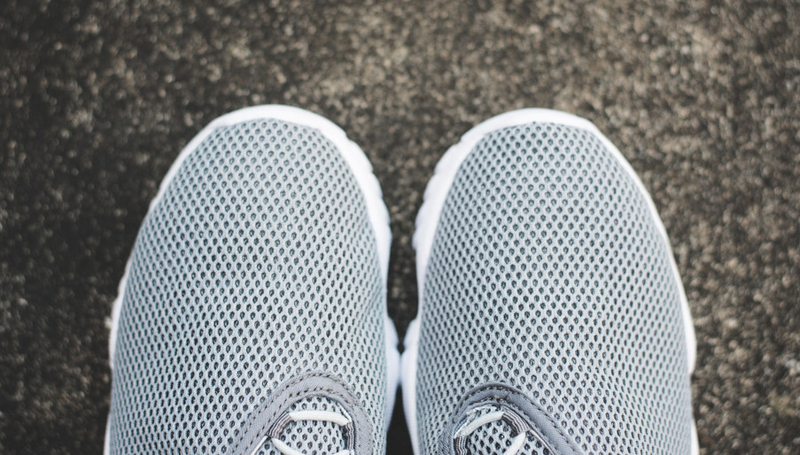 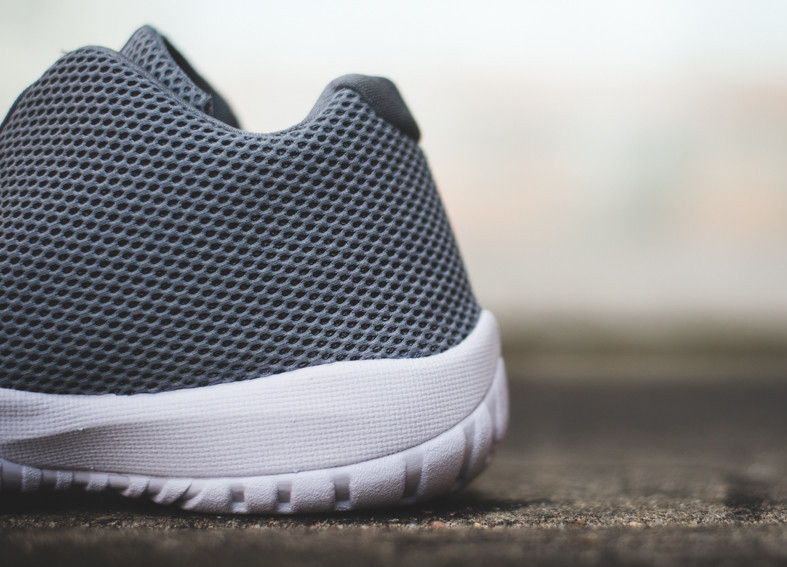 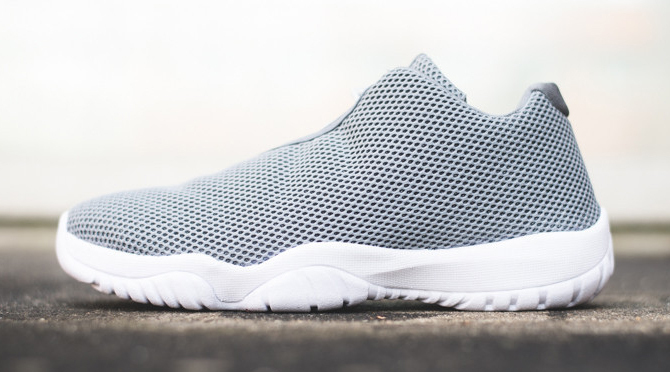 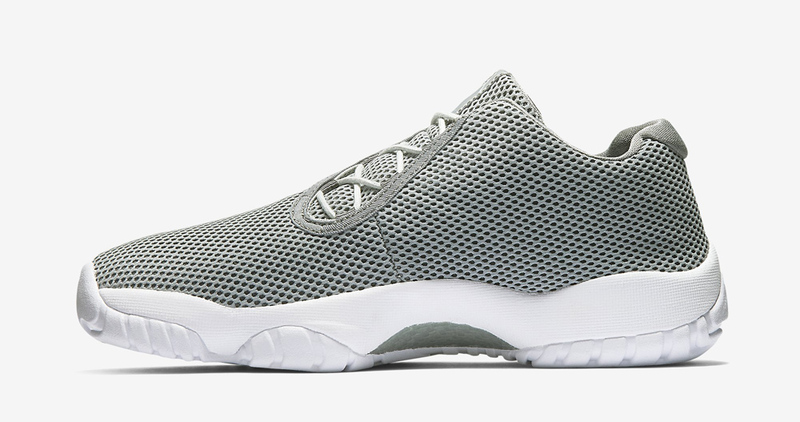 The Jordan Future Low will get somewhat referential with this new release, which has some "Cool Grey" flavor to it. 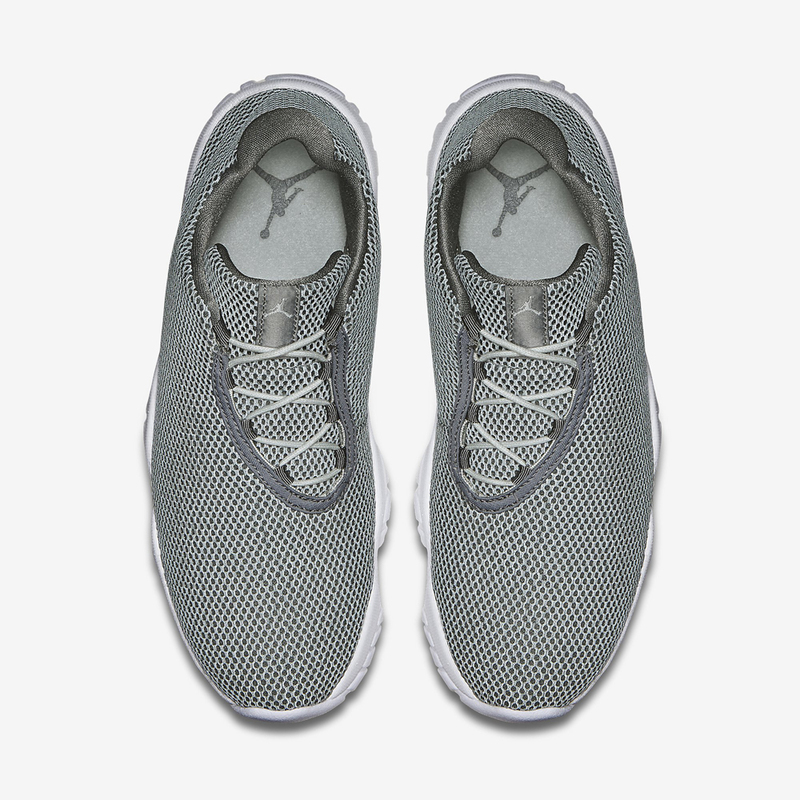 That grey isn't even the dominate one though–the official colors on this pair list "grey mist" up first. 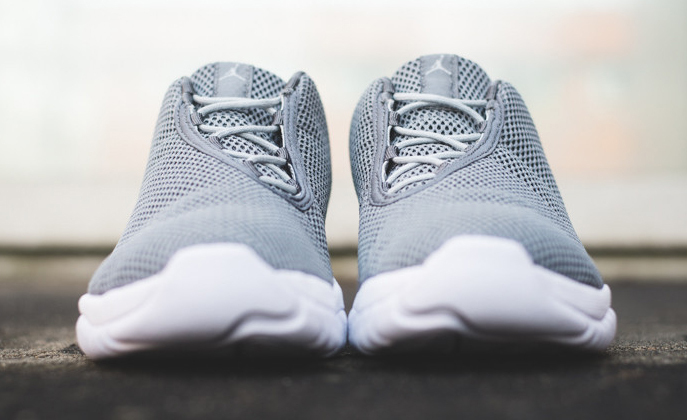 2015 is poised to be a busy year for the Jordan 11 Low, and the litany of Jordan Future Lows will offer sort of a takedown option for anyone not wanting to go through the headache of pursuing the patent leather pairs. 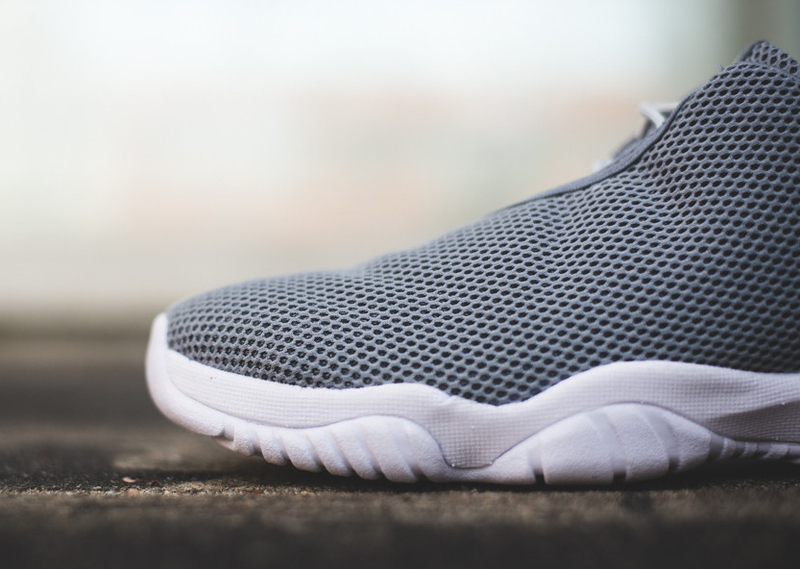 This Jordan Future Low already released on Nikestore UK, but no Jordan release date for a U.S. drop yet. 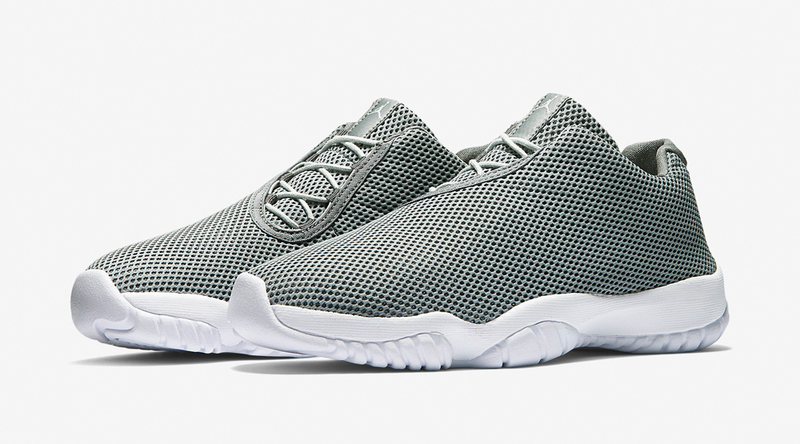 UPDATE 5/15: The Jordan Future Low "Cool Grey" is available now at stores like Sneaker Politics.